MICA: Making History /Making Art by Douglas L. Frost was recently awarded the 2011 Arline Custer Award by the Mid-Atlantic Regional Archives Conference (MARAC). 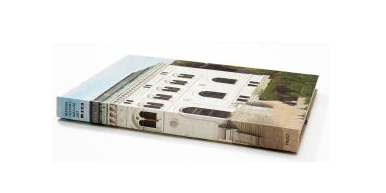 The book, published by Maryland Institute College of Art (MICA), covers nearly two centuries (1826-2011) of the Baltimore art school’s history. Thus begins the story of present-day Maryland Institute College of Art (MICA), and the text of MICA: Making History / Making Art by Douglas L. Frost. The book utilizes hundreds of documents—texts and images—from sources held in the MICA Archives at the Decker Library & Media Resources Collection and in other collections in Baltimore and beyond. From its roots as the Maryland Institute for the Promotion of the Mechanic Arts, the College’s history spans the great advances in technology of the Industrial Revolution to the fast-paced, ever changing technology of the Digital Age. This resilient institution endured the upheavals of Civil, World and Cold wars, the Great Fire of Baltimore and the Great Depression, the politically tumultuous Sixties and the sobering realities of the 21st century—and not only survived but thrived. The threads of MICA’s history are interwoven with those of America itself, with links to historical and cultural icons including Noah Webster, Abraham Lincoln, Louis Kahn, Alistair Cooke, Grace Hartigan, and Robert Rauschenberg. MICA’s nearly two-century history is told through 336 pages of flowing narrative and more than 450 images. The layers of history, from 1826 through the present and looking into the future, are written by Vice President for Development Emeritus Douglas L. Frost, who undertook this extensive research project upon his 2006 retirement after 40 years of service to the College, in the course of which he became the school’s de facto historian. Opening essays for MICA: Making History / Making Art have been written by Baltimore Museum of Art Director Doreen Bolger, 1976 alumnus Jeff Koons, President Fred Lazarus, and Walters Art Museum Director Gary Vikan. The oversized, full-color, hard-cover, Smyth-bound book—an artwork in itself—was designed in the Baltimore office of international design firm Pentagram by MICA faculty Abbott Miller and alumnus Jeremy Hoffman (2000), and printed by Schmitz Press in Sparks, Maryland. 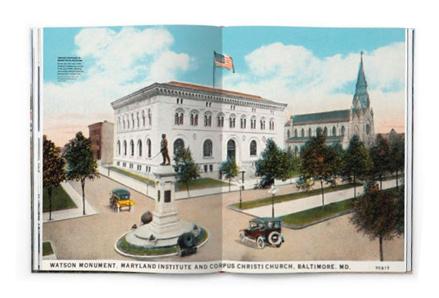 The book’s large format provides ample space to appreciate distinctive imagery from nearly two centuries of Baltimore’s and MICA’s interwoven history.